After meeting at Inverness train station at 1.30pm, we will have a spectacular drive to the Isle of Skye. We should have time for a gentle afternoon walk, before arriving at our island guest house. On the final day we will depart Skye at 10am, arriving back in Inverness at approximately 1pm. This holiday starts and ends in Inverness. Your guide will meet you at the entrance to Inverness railway station at 1.30pm where you will join the rest of the group for the drive to Skye. What's Included: 6 nights accommodation in comfortable island guest houses*, 5 days walking. Full Scottish or continental breakfasts, packed lunches and evening meals at local restaurants (note that lunch on the journey back to Inverness at the end of the holiday is not included). 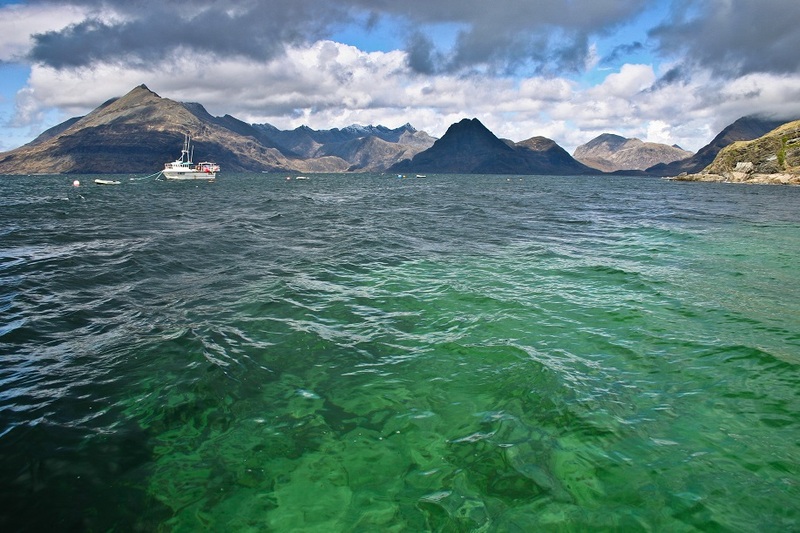 All transport during the holiday, including boat trips to Raasay and Loch Coruisk, and the services of a qualified and experienced Mountain Leader. What's Not Included: Transport to and from Inverness. Travel insurance. Visits to cafes and attractions. ​*We will be staying in comfortable guest houses on the Isle of Skye. All rooms will have ensuite or private bathrooms. We may have to split the party up between several guest houses but we will be dining together each evening in local restaurants so there will be plenty of opportunities for socialising with the rest of the group. Moderate. The walking on Skye is spectacular but the terrain can be quite rough in places. We won't be climbing any mountains on this holiday but we will be trekking into some quite wild locations, with wet, rocky ground. There will be some uphill sections but these will not be too long. The days are quite varied in length - the longest hike is to Boreraig and Suisinish and is about 10 miles long, mostly on good paths and tracks. Other days are shorter but may involve rockier ground or more uphill. You should be capable of climbing small hills and familiar with walking in upland areas of the UK or abroad. Good hiking boots are essential for this trip. Having said this, we will still be going at a fairly relaxed pace, with plenty of time for photos and admiring the spectacular views that Skye has in abundance! This review is VERY LONG OVERDUE!! My husband, two very good friends (husband and wife from Atlanta) and I thoroughly enjoyed a WONDERFUL Walking Holiday of the Isle of Skye this past June 2017! From start to finish, out trip was Outstanding. Mick's responsiveness to all aspects of our trip was Excellent. My husband and I traveled from St. Louis, USA. Attention to all details, as well as a few additional requests by the 4 of us, were always addressed promptly. The Isle of Skye was beautiful! John Groom did an outstanding job guiding us throughout the island. Our hikes were spectacular! Our accommodations were wonderful (our bed and breakfast host/hostess could not have been kinder) and our evening dining experiences/food was superb! We are now talking about our next trip to Scotland! We would love to join Hidden Hebrides for either the Shetland Island or Orkney tour! Cannot wait to return to Scotland....the people are wonderful, beautiful countryside, lovely cities!